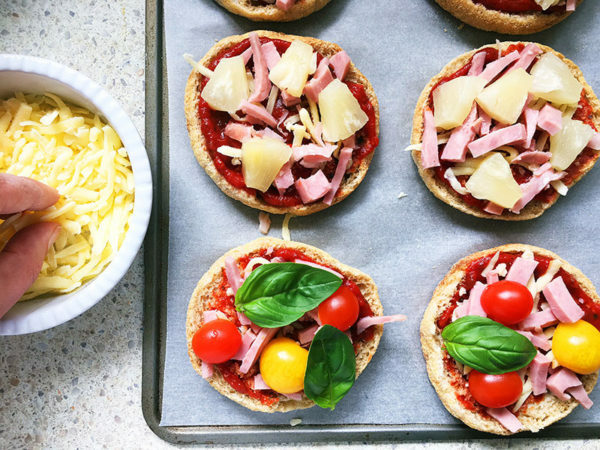 A great sandwich alternative in the school lunch box, English muffin mini pizzas are both tasty and super quick to make! 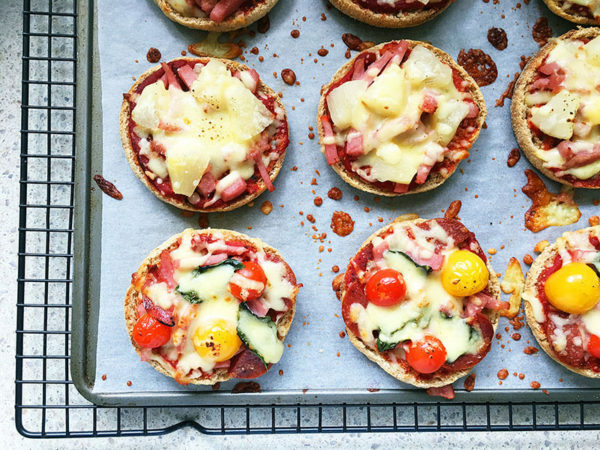 One muffin makes two mini pizzas, so you can make quite a few pizzas from a single muffin packet. Winning! 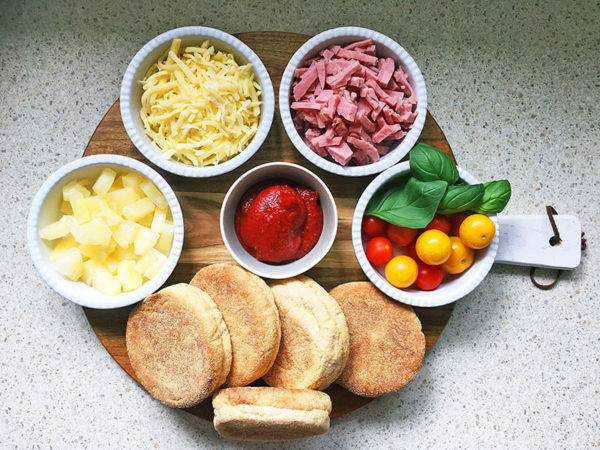 Choose a wholemeal or multi-grain variety for a nutritional boost along with your favourite toppings, which let’s face it, for many kids will be ham, cheese and pineapple. Preheat the oven to 200°C. Line a baking tray with baking paper. 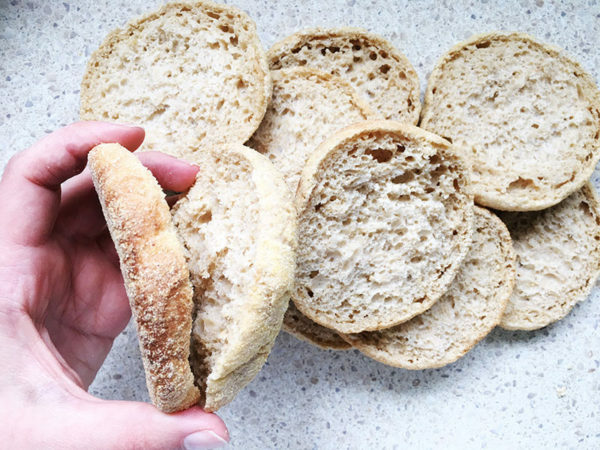 Carefully split the English muffins in half to create 12 pizza bases. Spread the muffin halves on the baking tray. 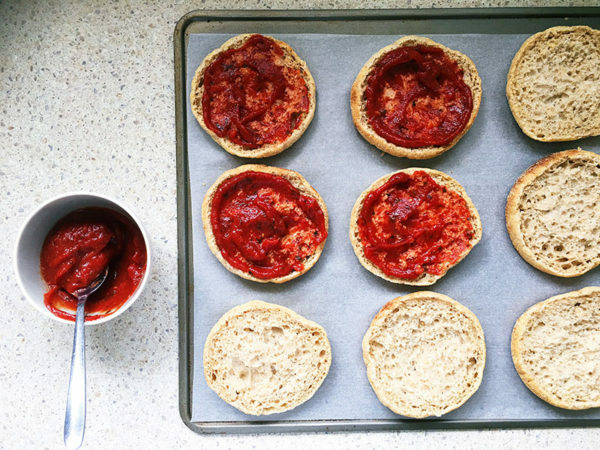 Spread each base with pizza sauce. 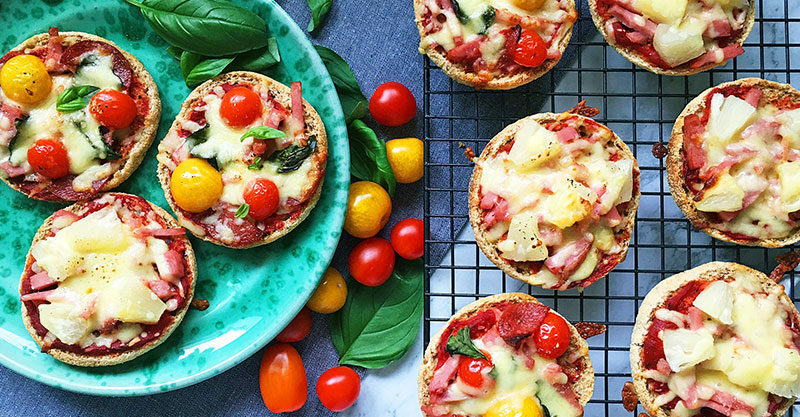 Top each muffin half with a little cheese to act like a glue and add extra toppings on top. Scatter extra cheese on top and bake until the muffin edges have browned and the cheese is melted. 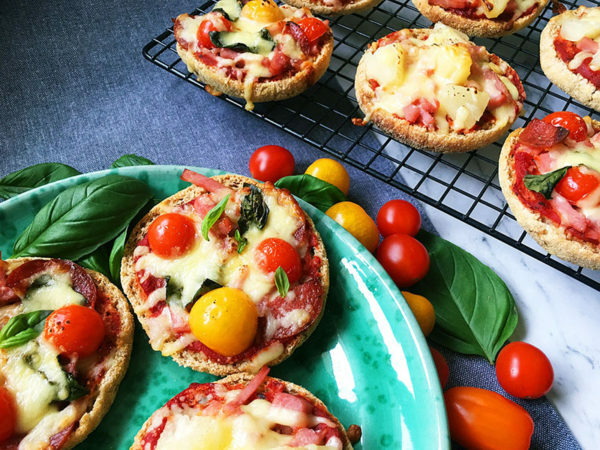 Serve your mini pizzas warm or cold – delicious!